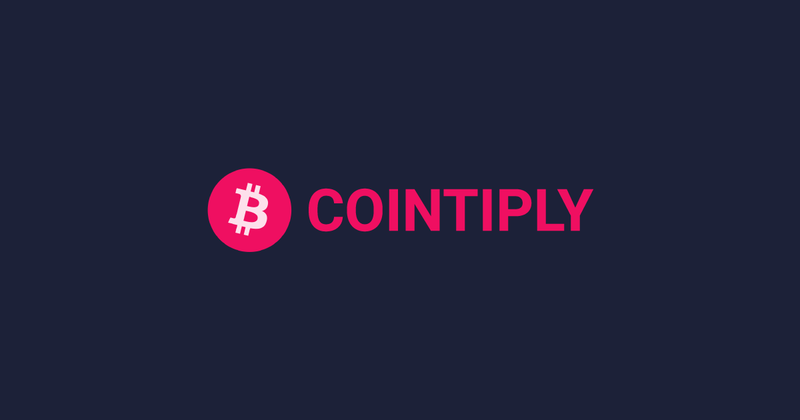 Cointiply faucet is so much more than just a bitcoin faucet. And you’ll discover all the ways to earn free bitcoins online with this money making machine below. While you may end up spending quite some time on this site, I guarantee that there’s real potential to make money! And I’m sure that’s why you’re here for. So let’s see how it works. The sooner you start, the more you can earn. Don't miss out! While FreeBitco.in has been online for a while, this faucet is a newcomer among bitcoin faucets. Indeed, it went live in February 2018. So it’s only a few months old at the time I write this article. But the Cointiply reviews have been great so far from the community. And it’s among the highest paying faucets of 2019, like Bonus Bitcoin. Therefore, it’s already attracted over 50,000 users who’ve spun the faucet over 2,500,000 times and made millions of coins! Coins? Yes, you don’t earn free bitcoin as such on the best bitcoin faucet. But you can earn coins (or credits) that you can later convert into bitcoins or dogecoins, at the time of withdrawing your earnings. How much is a coin worth of bitcoin? Its value is tied to the US dollar, so it depends on the BTC price… But you can estimate the value to a few satoshis. There are many ways to earn coins on the platform. First of all, there’s the faucet where you can claim coins every hour. It’s very standard: You need to solve the captcha and click on the Roll & Win button. And there’s a bit of luck involved: You can earn up to 100,000 coins! And while you’re waiting, why not spend time on their games? Because there are over 100 famous games (like Cut the Rope) you can play in this section. And the more you play, the more coins you earn. It’s important to say that mobile is supported. So you can play on your smartphone! But if you’re more a passive kind of user, you can earn coins while watching videos. Don’t expect the latest movies and series there though. Because these are mainly ads… And the rewards depend on the video service you select. Do you want more? Because I’m not done yet. And you can earn a lot more free coins thanks to their offer wall. This section content and rewards may change, depending on where you live. But the principle remains the same: A company will reward you with some coins for completing an action. What kind of action? The most popular are taking surveys, playing games, downloading apps, answering quizzes, etc. Finally, and that’s one of their most popular features: Cointiply mining game. And this mining game can be pretty addictive. Basically, you can earn coins by buying, upgrading, and maintaining a mine where you mine coins. And you need mining power for that. But I’ll let you discover it by yourself. What you need to understand is that it’s a great way to increase your passive income. Because you’ll get free coins every hour, whether you’re logged in or not. It was in beta since its inception. And it seems it didn’t work as they wanted… So it’s been shut down and it will be retired from the platform. If you were a player, you’ll receive a private message detailing the payout status and schedule. And you should get a bonus, over time from a pool based on offerwalls and CointiPlay. I almost forgot to mention the PTC Ads… That’s where you can earn coins by watching and clicking ads. Not my favorite activity. But you can easily make some coins, just by checking a few ads (related to cryptos, most of the time). How to earn on Cointiply Beta? It all starts with the registration: Here. Because you can’t reach any activity from the homepage: You need to be logged in. So fill your first name, email address and password and click on Create Your Account. And when you’re done, you just need to verify your email address. That’s it, and you’ll get 100 free coins! And you can start earning coins! If I were you, I’d start with the faucet. Because there’s a timer for this activity. So you’d better be done with it and then do the other activities. And then come back when the timer’s done (there’s a sound when you can claim again). Also, I’d remind you to be persistent. And to claim at least once a day. Why? Because there’s a loyalty bonus. And every day that you’re active, you get a 1% bonus – with a maximum of 100%. So you can double your earnings! And then, I’d head to the offer wall, where you can easily make thousands of coins at once. But this will depend on your location. Just browse through the offers and select the ones with the highest payout. After that, it’s up to you really: How you want to allocate your time to get some coins. Also worth a mention: Their affiliate program. Because it’s a great way to make an additional passive income. Just invite your friends and family. And when they claim, you get a commission! So far, so good. But take into consideration that this is a brand new website. And we have only a few months of positive feedback from users. So only time will tell if it remains reliable. But as of today, you can trust the company. And you should be to withdraw your earnings, either to FaucetHub, or directly to your bitcoin wallet. Every time you withdraw, it may take 24 to 48 hours. But you have access to the transaction ID directly from the payment page. Good to know: There isn’t any transaction fee – it’s on the house! I hope you’ve got a better understanding thanks to my Cointiply guide. While I haven’t given you any strategy regarding optimizing your earnings, you have now a clear picture of what to expect on the site. And you have here what seems to be a reliable opportunity to make money online in 2019. Register today and earn free bitcoins online today! If you're serious about earning bitcoin online, then you must use this faucet. Because there are many ways to earn and you'll get more than with any other faucet.